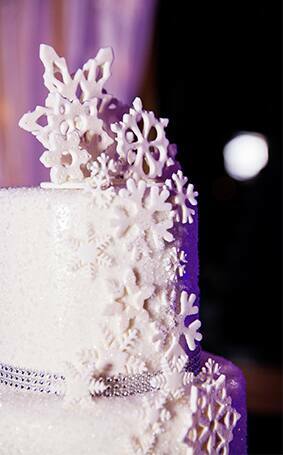 Join me for a brisk walk in a winter wonderland on today's Wedding Cake Wednesday. 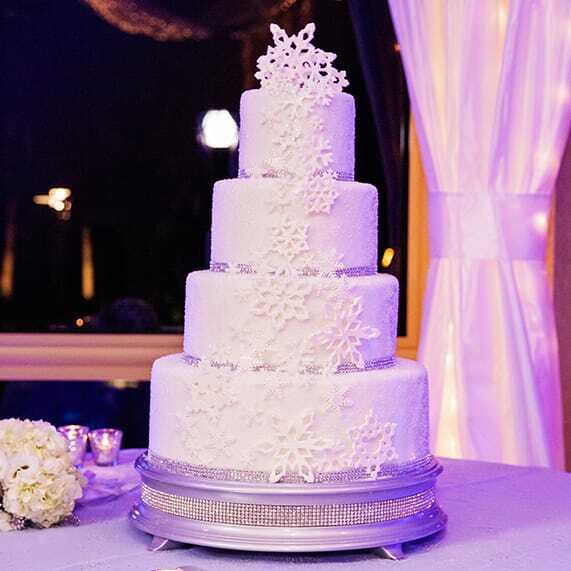 Elegant snowflakes, each unique in their own way, fall sweetly throughout this four-tier cake. And if you look close enough, you'll even spot a most special Mickey Mouse shaped snowflake! 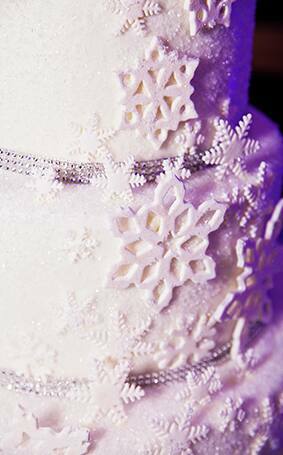 Sprinkled with both ice and snow, this cake embodies all the beauty of a cold winter's night- minus the freezing temperatures.